Thinking, today, about Native identity, and how we speak of it. I used to say "tribe" but realized that just "tribe" wasn't sufficient. For those who did not (and do not) know that we are sovereignty nations, "tribe" alone let them place us as a race or a cultural group. I can talk all day long about growing up on our reservation, doing the things we do as Native people there, and say things like "moccasins" and most people in the US would nod because it would fit with what they know of us as peoples with distinct cultures. But doing that is not enough. So--I use "nation." When I'm giving a lecture, I give an example of what it means to be a sovereign nation. A simple one: we decide how fast you drive on our reservation. If you go too fast and get a ticket, it is paid to our tribal gov offices. The US has many racial groups and many cultural groups but they don't have a land base over which they have jurisdiction such that they can set speed limits. But, that is how it works. Each tribal nation has ways it decides who its members are... and you can look that up if you know the name of the nation you're interested in. As I'm laying it out, it might seem pretty simple but... this is all political! Our tribal leaders and councils and the requirements are imperfect because, we're human beings. One of my top concerns is fraud. There's so many people that outright lie about a Native identity. It gets them jobs, or cred in some places, that they ought not have. Some people get jobs and cred by claiming it, but they're not outright lying. They really believe a family story. When someone asks for specifics, it can get uncomfortable for everyone. Someone who can't get enrolled, but who is definitely Native--that's an entirely different story. But those folks can generally point to cousins who are enrolled, who are kin. Those folks are usually known in the nations who they name as theirs. People in the nation will speak for them. I've been fooled by someone's claim to Native identity--more than once. When you find out that people tried to tell that person to stop identifying that way and they did it anyway... And they still do it... it is hard! There's resources out there. Books that can help you learn some of the nuances of all this. Eva Garroutte's REAL INDIANS is one. Speaking of myself, I am tribally enrolled at Nambé Pueblo, a sovereign nation that Spain, Mexico, and then the US regarded as a nation. We were a nation before the United States was a nation. Some universities, in an effort to stop fraudulent hirings (and there are MANY) are trying to figure out how to stop that kind of fraud. ... one thing that Scott said was that tribal nations have to exist as nations, and that if we disenroll Black people, we were engaging in a form of ethnic cleansing. Some articles, books, etc. 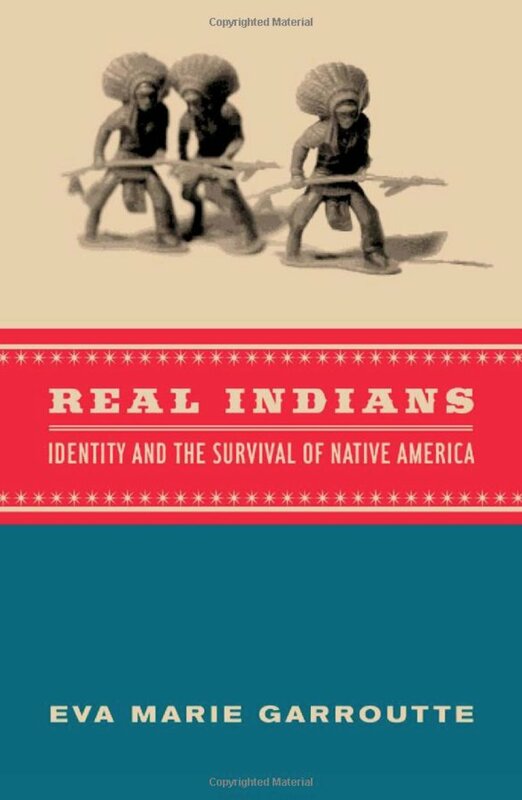 have helped me understand many dimensions of the politics of Native identity. Scott's is one of those. Wish I could find it. He's right. Those disenrollments were wrong. Native America Calling has had some very good segments on disenrollment. Here's one: Wednesday, April 6, 2016. Disenrollment. Here's another one: Wednesday, May 6, 2015. Tribal Enrollment and Blood Quantum. A lot of people think that it is racist to ask a Native person for "proof" of the identity. They're using a racial framework, and if this was a racial issue, it would be racist to ask -- but Native citizenship isn't about race. It is about nationhood. It is more like asking someone for proof that they're a US citizen. That's fraught, too, esp right now with this racist administration in DC, but that's [nationhoood] the framework where the question belongs. And--friends/colleagues who are Indigenous--if you see a tweet in this thread that needs clarification, please let me know. Another Native scholar who helped me clarify how I speak about Indigenous identity is Elizabeth Cook Lynn. I used her work to write a post for my site, titled Are We People of Color? I try to listen, weekly, to @mediaINDIGENA's podcast. I learn a lot from the guests there. Go here, and scroll down to episode 119. It was about DNA testing. People who follow me know that most of my work is in children's and young adult literature. My blog, American Indians in Children's Literature, has 11 years of posts on it. ELEVEN YEARS. That's a lot of content, available to you, at no charge. I said "at no charge" because most of the writing that we do is in journal articles, magazines, books... that cost money to get to. So--as a former schoolteacher, I do what I can to provide resources to people who want/need them. Most children's/YA books out there that teachers assign are deeply flawed. Like, ISLAND OF THE BLUE DOLPHINS. Ugh. Don't assign that, please. Here's my critique of that book. 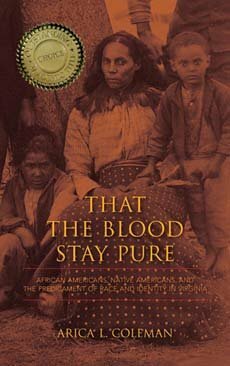 Books like that one are huge obstacles to progress in terms of getting Native writers published, and getting their books read or assigned in schools. Seems ppl prefer long-ago-far-away "Indians" over stories that are real! That show our lives as we live them. Coming up soon, I'll be on the #NIEABookClub to talk about two excellent books by Native writers. One is @DanielVandever's picture book, FALL IN LINE, HOLDEN, which is about a kid in boarding school, where the goal was to stop Indigenous kids from being Indigenous. So--about identity. And asserting identity. The second one is @CynLeitichSmith's HEARTS UNBROKEN, where a teen girl in a suburb is navigating challenges to her identity. There's an important thread in Smith's book--about L. Frank Baum. Native ppl know why that's in there. Most non-Native people see "L. Frank Baum" and think 'yay' but they don't know that Baum wanted to exterminate Indigenous people. Europeans wanted us out of the way. But our ancestors fought back. That's why we're here, today, saying 'nope' to those who misrepresent us in children's books or in national politics. Vine Deloria Jr -- in volume 1 of DOCUMENTS OF INDIAN DIPLOMACY -- wrote something abt treaties that sticks with me. To Indigenous leaders/ppl, they were about relationships. To Europeans/Americans, they were about resources. Interesting, eh? Circling back to the Elizabeth Warren situation. So many Indigenous people are getting trolled by people who seem to think that, in speaking up abt what Warren did, we are choosing trump or GOP, as if our existence is one or the other. That kind of trolling demonstrates a lack of understanding, or, a lack of care if there is some understanding. That kind of response isn't helpful to anyone. One MSNBC analyst is particularly upset with Cherokee Nation for its blistering rebuke of Democratic Sen.
White supremacy is the foundation of Indigenous appropriations, but it is not only white people who help uphold that system. non-whites are invested too in settler-colonial appropriation of all things Indigenous. just like other non-black POC are also capable of being anti-black. Being an enrolled citizen in a federally-recognized nation is not the only way to be Native. 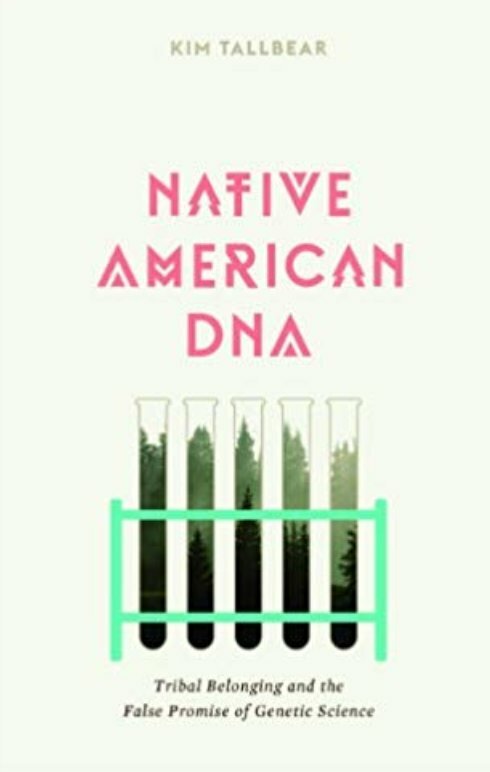 I do not think DNA is valid in determining Indigeneity, but I'm concerned about the reductive #nativetwitter takes I'm seeing that equate Indigeneity to citizenship. In the wake of the Elizabeth Warren debacle, let’s not forget another way in which racial logics have displaced kinship in our own politics and relations: the continuing struggle for Freedmen descendants to be recognized as enfranchised citizens and relatives in the Five Tribes. And for those of us who are scholars, do we ensure Freedmen voices & experiences are visible in our work, & not only as footnote? 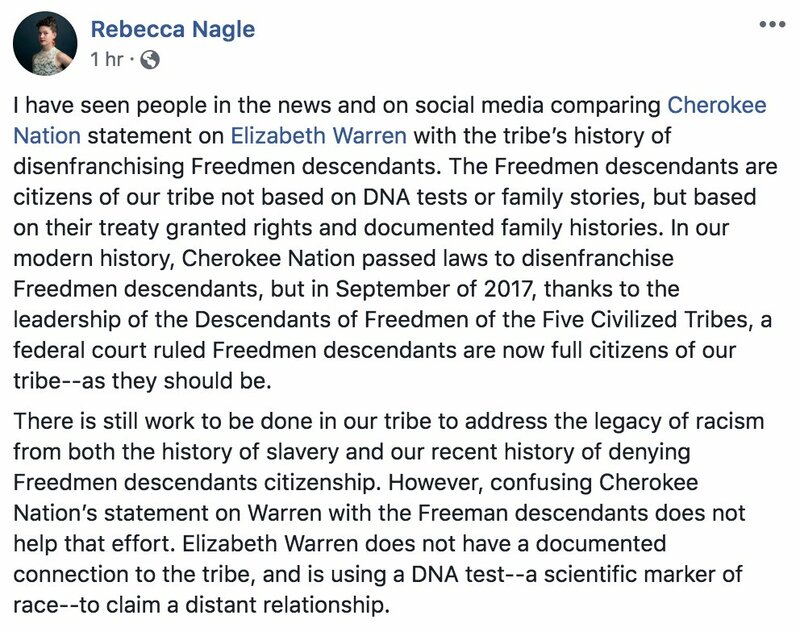 And, see Rebecca Nagel's Facebook post about ongoing conversations about Cherokee Freedmen: Here's a screen cap of the first two para's of her post. I have been struggling a little bit with Native identity myself and who has the right to claim it. I consider myself a white woman, and I have experienced all the privilege that comes with being a member of the dominant culture. However, I am 5/64 Choctaw, have my CDIB, and am a member of the Choctaw Nation of Oklahoma. My grandmother lives in southeast Oklahoma and has many ties to the Choctaw community there, but it was not a part of my upbringing. Being a member of the Choctaw Nation has brought me many benefits - I received a scholarship while I was in college, and I'm eligible for free medical services. I sometimes feel like with my minimal level of involvement with my Choctaw heritage, I shouldn't have access to these benefits. My grandmother has been encouraging me to enroll my daughter as a tribal member, and I am even more conflicted about that since she is only 5/128, and will definitely present and identify as white. I think you'll find a range of responses to your question. You should probably speak to other Choctaws about your particular questions. Generally speaking, I don't see scholarships or health care as "benefits". The reason tribal nations have such things is because of negotiations over land. I think your question is about the responsibility any of us have to the tribal nation that we're a citizen or member of, and I think some of them have expectations of their citizens/tribal members. In some ways, those are personal decisions. We make choices based on factors that impinge on what we can or cannot do. If I was you, I'd make sure my daughter knew her family, places, history, and I'd take her home as much as I could. Indigenous identity might matter to her in ways you cannot know, right now--and I don't mean $$--I mean in other ways. This is just a tangential comment re: parents helping children know their heritage, and how much that might mean in the future: yes. Parents should do this. I speak as someone who is a child of Vietnamese diaspora. My parents tried to teach me Vietnamese, but after I was punished at school for speaking Vietnamese to my kindergarten teacher (I was saying hello, and was punished by being set back a full year in school), my parents proceeded to eradicate as much of my heritage as possible so that I might succeed in a white-dominated country. I grew up not missing my heritage, but now that I am 40, and I have no family and I have no heritage and I have no roots, it is like this aching empty cultural desert that will never see the rain. I can try to reconnect, but I am an eternal outsider and belong nowhere. There is no one to guide me home, and I think that's because there isn't home anymore. It is a kind of alienation that led to a lot of self-destructive behavior and self-hatred for myself even before I was 40. I recommend not doing that to children. Like, I know my case is way more extreme, but painful legacies like this that are preventable, I'd like to encourage folks to consider preventing such things, even if they are less extreme.